I just installed my smartthings hub this week and have open/close sensors on all my doors. I would like a simple way to have a device in my house that makes a door chime when a door is opened. I did a little searching and I saw a few old posts none of which seemed to indicate a simple way to make this work. Does anyone have some advice for me about how to set something like this up? The main issue is finding a device to do the chime. There just aren’t very many of these right now. Aeotec has a new doorbell device coming out that would be perfect, it’s just that no one has it in stock. It was in stock for about two hours on one day and some of the community members got it, and now everybody’s just waiting for to come back into inventory. Cost about $90. Anyway these are the choices right now. Z-Wave Products carries part # ZW056-A1, Z-Wave Plus - Doorbell - Gen 5. Shop with us today. Z-Wave Products carries part # ZW089-A, Z-Wave Plus - Recessed Door Window Sensor - Gen 5. Shop with us today. Three) just send yourself a notification and pick up chime sound on your phone/tablet/smart watch. This is really easy. Doesn’t require buying another device. I have a contact sensor on a gate and I have a tablet that is my home automation dashboard always plugged in in the living room, and I just get the notification there. they’re perfect time for me but doesn’t work for everybody. if you have a device that can play custom sounds like a Sonos or a DLNA player, then you just trigger that notification. This is how people have a motion sensor going off trigger an audio of dogs barking. Or announcements. if you have a mains powered device that makes a continuous sound, even an alarm clock, You can just plug it into a smart plug in module, so the contact sensor triggers turning the power on and then off. As long as when the power comes back on the sound starts up, you can pick anything. Here again it’s a question of finding a device that makes the sound you want, and you’re limited to just on until you turn it off because you’re not actually controlling the device, you’re just giving it power or cutting the power again, but it’s nice and easy. This one is a possibility, but verify that the sound does start up again When the power returns. Even this, which (not kidding) starts a fan which then blows a breeze across a wind chime. This one cracks me up. Again, verify that the sound starts up when the power days if the power was cut previously. 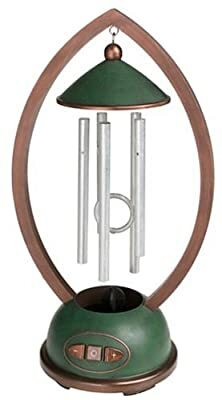 I’m not seriously suggesting anyone buy $180 plug-in Windchime But you could just do a regular windchime and a regular fan for the same idea for a lot less money, of course. My point is simply that if you can find any device that makes a sound you like that will make that sound as soon as the power comes on, that can be combined with a networked plug in module. And the sounder doesn’t have to plug-in if it will make its noise when a small plug in fan blows on it, again provided the fan starts up every time it gets fresh power. you can trigger anything that has an IFTTT channel. So again it’s just a matter of finding a device that makes the sound you want. So lots of ways, depending on exactly what you want to do. And how much you want to spend. UPNPlay Android app running on an old Android phone - Launch the app and select Android Player as the device. Only after doing this, it would show up in SmartThings DLNA app. Sonos Notify With Sound smart app - available from marketplace. Also, you can find some more ideas here. Another option if you are willing to do a little build work and programming would be to use an arduino with a smart things shield and make it send a sound to a piezo buzzer when a door opens or closes. @obiewon is doing incredible things with ST and arduino. If you are willing to work for it, I’m sure he (and the rest of the community) would be willing to help. I had this working with my arduino that I am using to bridge my hard wired door sensors to smart things, and the family found it kind of annoying after a while and I ended up disabling the sound effects. Piezo sound is pretty harsh for a doorbell. 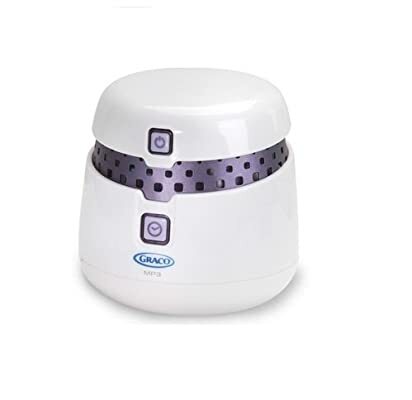 Philio PSE02 is a zwave siren with selectable volume 1-3, selectable 1-5 sounds, #5 is a bing-bong. $66 on Ebay now. I don’t have a great devicetype for it so it is set as a dimmer for now. The sound I ended up with sounds just like the triple beep my alarm system in my old house made when a door was opened or closed. With the arduino feeding it you get a pretty decent range of options. So over a year later, has there been anything that will facilitate the original question? Based on what i have read there does not seem to be. It seems like this would be a prime example of what this can do. If the front door sensor detects open it should announce on a speaker “front door open” or at least play a chime on a siren or speaker. I thought this would be easy. Any advice is appreciated. There’s a recent how to article in the community – created wiki on how to set up a door chime. So how did I miss that? Thanks JDRoberts, I hope that helps some others that find this post. Another newbie question. I’m beginning to work through the steps to set up a door chime when any of our doors are opened. I’ve added the open/close sensors on each door and can see them within the smartthings app and confirmed the open / closed state. I’ve have also installed the aeotec doorbell and installed the custom device handler, along with some custom sounds. This also works from the smartthings app (meaning, I can select any of the sounds from the app, and they doorbell plays the sound). What I’m not understanding is how to tie the open/close sensor event to trigger the doorbell. Can I accomplish this through some type of configuration within the smartthings app, or do I need to write code in a SmartApp? And if the latter, can some one point me to sample that I can perhaps modify ( as opposed to starting from scratch)? After a little more digging, I was able to successfully link the sensor event to the doorbell via a CoRE Piston routine, following the instructions of establishing . In fact, I successfully created and downloaded to the doorbell a different phrase for each of the doors, such that there is an audible tone, followed by the phrase “Front door is open”. So looking at my simple door notification Piston, I create a TRIGGER from which I list my door sensor that I am monitoring. I set the ATTRIBUTE to monitor as “contact”; the COMPARISON to “changes to”: and the VALUE to “open”. In the Individual Actions section, there are two boolean actions “When true, do” and “When false, do” . From the “When true, do” I set Action #1. There’s a “USING” setting, from which I find my doorbell under a music player category. The other setting is under a section called “First”, which I select “Play Track At Volume”,which then prompts for the track number within the doorbell sounds, and the volume level. Prior to setting up individual door sounds, I included all of the door sensors in the Trigger. and then selected the “Beep” selection for the “First” action. That way, I can check that all of the sensors trigger. Then I added the specific tones and then redefined a separate TRIGGER for each door sensor, which defined the same ACTION but calling a different Track.